When Henry Oades accepts an accountancy post in New Zealand, his wife, Margaret, and their children follow him to exotic Wellington. But while Henry is an adventurer, Margaret is not. Their new home is rougher and more rustic than they expected�and a single night of tragedy shatters the family when the native Maori stage an uprising, kidnapping Margaret and her children.��� For months, Henry scours the surrounding wilderness, until all hope is lost and his wife and children are presumed dead. Grief-stricken, he books passage to California. There he marries Nancy Foreland, a young widow with a new baby, and it seems they�ve both found happiness in the midst of their mourning�until Henry�s first wife and children show up, alive and having finally escaped captivity.��� Narrated primarily by the two wives, and based on a real-life legal case, The Wives of Henry Oades is the riveting story of what happens when Henry, Margaret, and Nancy face persecution for bigamy. Exploring the intricacies of marriage, the construction of family, the changing world of the late 1800s, and the strength of two remarkable women, Johanna Moran turns this unusual family�s story into an unforgettable page-turning drama.From the Trade Paperback edition. I feel as though it’s quite easy to take some tribe most Americans, myself included, have never heard of and turn them into savage captors. I mean, isn’t it ingrained in us to just accept what authors write as fact, especially when writing a book “based on a true story.” The treatment of the Maori, the native people who abducted one of Henry Oades’ wives in the novel definitely bothered me. These are people painted to be savage compared to their counterparts, the civilized English settler. The Maori retaliate against some offense by kidnapping Margaret Oades and her children. They do not show compassion and are clearly evil. I understand that maybe this was for the purpose of the story, we needed Margaret Oades and kin to disappear somehow, so why not borrow some native peoples for this purpose. Personally, I think we need to get past the dark-skinned other stereotype. 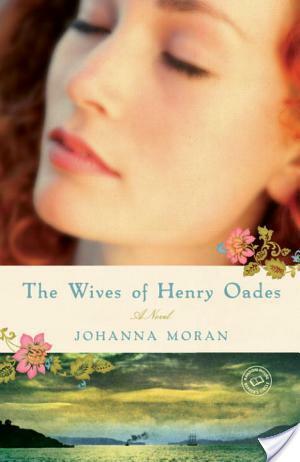 I get that The Wives Of Henry Oades is historical-fiction and based on a real life court-trial. However, in just doing a quick search on the Maori, I’ve discovered more instances of Maori people being kidnapped/massacred by whites than the reverse. I understand authors don’t need to be politically correct and it’s not the job of the author to bring about social justice, however, I just wish there was more fairness or at least more depth pertaining to the Maori within The Wives of Henry Oades. Aside from the treatment of the Maori, this book caused me to ponder family structures. Must all families be nuclear? No, not at all and in today’s society you don’t really see much of that anymore. I mean there’s all different types of families, single-parent families, families with two dads, extended family groups, kinship groups, etc. I think the relationship between Henry Oades, his two wives, and his children was quite interesting, if not exactly ringing true. I liked that The Wives of Henry Oades did not condemn this different way of living. However, the reaction of the wives to each other felt unreal to me. I mean, if I was abducted by a group of people and didn’t see my husband for years, come home and find he’s married some other woman, you’d better expect hell to pay. I expected a larger reaction from wife number one, not oh well, let’s just live as one giant family. Is this a terrible book? Not by a long shot, but to me, it’s average. I think it is a great book to read if you want to generate a discussion within your book group about family units, should the government be able to tell you how to live your private life, etc. Also, I really enjoyed the character of Nancy, it’s quite refreshing to see such a strong, capable woman. Also good to see a woman who doesn’t automatically love children. Way to step past gender constructs. Yes, I’ve read better historical fiction, but I did keep turning the pages and never had to set this book aside, so I suppose that lends some credence to it’s readability.